Jennifer’s Doggy Daycare | I'm not stalking you. 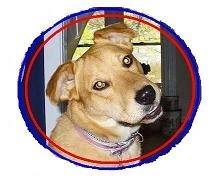 When I first heard there was such a thing as doggy daycares, I thought it was a GREAT idea! Cute little dogs, running and playing all day while their owners were at work. I didn’t have a dog at the time. And when I did get my furry daughter Dave, I couldn’t afford to enroll her anyway. There was one in the city I worked in, but not in the city I lived in. Then I got the great idea to start my own doggy daycare. I could take my dog there with me, to work every day! I wouldn’t have to miss her! I wouldn’t have to pay to enroll her! I could be making money off other people’s dogs! I could have it right in my own town and alleviate my two hour daily commute! I love organization. I could have spreadsheets about what dogs get fed how much and what kind of food. I could make forms for prospective clients to fill out and submit with their proof of vaccinations and emergency info. I could keep have a file full of dates when I need to nag the owners to get me new annual shot records. I made a mental plan to get a job at a doggy daycare for a while so that I could get paid training and pilfer their best practices. I looked up all the closest ones online. I watched their job postings. 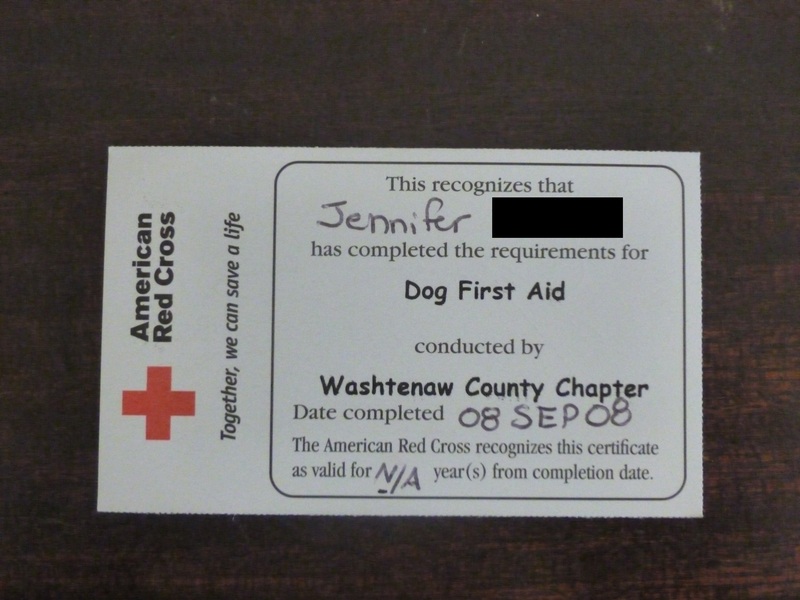 I even took an American Red Cross Dog First Aid class (required or highly recommended to work for most of these places). At one point, I even had a job offer from one. At the time, it did not fit the requirements I needed for a job to support my family’s needs. Which, was kind of a huge bummer. It seemed like a great plan and I held on to that dream for several years. But I finally gave it up. 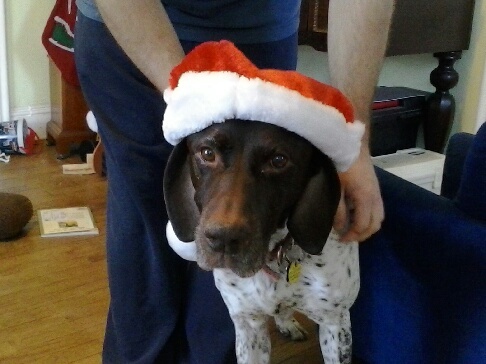 Mostly because our Pointer Parker is such a troublesome dog, he turned me off to spending all day, every day, with dogs. As I speak, Parker is pacing through the house. He will momentarily pee on the floor is I do not jump right up and let him out. It doesn’t matter that he just went out two hours ago. Or that I purposely left his water dish empty since breakfast so that he would not drink the whole thing all at once. I really do not like him. And part of that could be that he took my dream away from me. One of the few I ever had that seemed like I would be able to make it work. This is the horrible Parker dog who has stolen my dreams from me. Don’t let the Santa hat fool you. There. I just let him outside, and back in again. Of course, while he was out there, he danced the Riverdance in the mud puddles. He comes in covered in mud (and I know what else) from head to toe. He is entitled and ungrateful. He is actually a cat. Cats would never be allowed at Jennifer’s Doggy Daycare. I have returned to my ultimate dream: early retirement. I might need the help of the lottery to make that one happen. Posted in A day in the life, Job hunting and tagged business, Dave, daycare, dog, doggy, dream, hut, idea, Jennifer's, job, Parker, wiener, work. Bookmark the permalink. I might be slightly fooled by the Santa hat.